Kelly's Korner: Love Like This! Tonight I got to eat dinner with 4 special girls - Laurie, soon-to-be bride Hillary, Emily and Sarah Kate. We went to Olive Garden. Yum! Scott HATES OG so I can only eat there with friends. I stuffed my big belly silly. So I have an exciting give away!!! 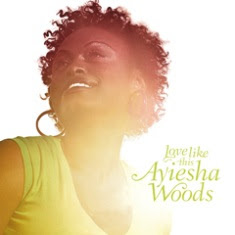 Ayiesha Woods was a nominated New Artist of the Year at the Dove Awards this year and she has a new CD coming out on 9/9. You will love this CD - and you can check it out for yourself here and listen to the songs. If you love Christian music (or if you don't) - this will be a great CD to add to your collection. On Monday - I will use the random integer generator to draw a number and I'll send that person a free CD - what a deal! And if you don't win - her CD will be available at Target as well as on-line!!! Oh Kelly-I like her music! She has a WONDERFUL song out called "You make Me Happy" Pick me , pick me! Tonight was lots of fun! Definitely the song "Refine Me"! You don't know me Kelly, but I came across your blog through Baby Bangs. You are such a great encourager! whoops forgot to leave my blog info! love her voice!! very cool give away. oh...and olive garden...YUMMIE! Pick me, pick me, pick me!!! Please! I think this is the first time i have ever left a comment on your blog but i just love reading your blog and I am so thrilled you are going to have a little girl. Harper is a very lucky little girl!! Love the song, "Refine Me"! She has a great voice. Looks like you and your "lunch ladies" had a great time! Oh my goodness! I would love to be in the drawing also!!! Olive Garden is SO good! What a great giveaway! I would love to enter! I've been reading your blog since you found out you were pregnant, but I haven't been leaving many comments! But, just wanted you to know I love reading your blog! God bless!! Oh how fun! I love giveaways! I love her voice!! Put me in! :) Thanks! Love the OG - almost as much as I love those pics of those cute girls!!! Looks like ya'll had a wonderful time! And speaking of love - I am loving me some Ayiesha Woods! Her voice is awesome. Honestly you had me at "Jennifer Knapp" - my all-time favorite. And hearing Ayiesha's remake of JK's 'Refine Me' bout had me squealing! I feel like I am destined to win this cd. haha! ;-)If I don't I will definitely be purchasing it! Thanks girl! Your friend, Becca told me about your blog. Love it! I see you guys tried for a couple of years before getting pregnant. This will be our 26th month of trying. I'll go back and read more of your blog but it's always encouraging to read when someone else finally gets pregnant after trying for so long. Congrats on the pregnancy and I look forward to reading more! i'm always excited to hear new music...not familiar with her. Pick Me Pick Me! Now THIS is my kind of give-away! I love music - especially good Christian music. I'm not familiar with her, but will definitely go check her out. Ooh, cool a giveaway!! I have to check her out! Love your blog, I check it daily! Wow! A give away! How fun! I'm not familiar with her, but would love to be!! Thanks in advance! tee hee! YAY!! I love OG and a good CD!! 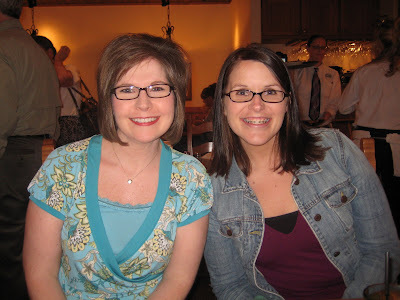 I somehow found your blog through way of Angie Smith's Bring the Rain blog. I think it's so cute how you have your 'baby buddies' on the side! What fun! Count me in the random drawing to possibly win a great CD! :) Happy Friday! Glad you had a good time at Olive Garden, and the CD looks great. It's been a LONG time since I actually got a CD - I guess that's what mp3s and the ipod does! I had a great dinner! Can't wait to eat the left overs tonight!! I'm gonna miss you!! But I'm still not talking about that yet! Woohoo! Pick me! My coworker A Belle and Her Beau got me started reading your blog. Love it and congrats to you and Scott on Baby Harper! I LOVE her voice!!! So unique sounding!! Hey Kelly, I'd like to win a CD! I found your blog through Bring the Rain, but then I realized that I also know your hubby. I'm originally from Magnolia and my parents live right down the road from Scott's parents. Nothing brings us lurkers out more than a give away! ha! I love this music and would be thrilled to have this cd. I would LOVE to win this CD. Thanks for the suggestion, I love to find new artists. Thanks! Loved Refine Me and One Day! Ummm..I think you should pick me to win the CD! I Love her! I didn't know there was a new CD coming out! Good to know! I'd love to be the proud owner of a new cd too!! I love good Christian music. Pick me! I am so glad you had a delicious dinner with some of your dearest! Well I always love a good giveaway...Glad to see you also enjoy Olive Garden. It never fails: the salad, the breadsticks. Always amazing! I would love to have her new CD. ooh I'd love to win! What a fun giveaway! Have a great weekend and WAR EAGLE! I would love love love to win this CD. I read your blog every day. You are a blessing and an encouragement. You make me smile, and often, I've wished I lived closer, cuz' I would just love to hang out with you :-) I also love the sounds of your church and your church family. We are currently looking for a new church (in Michigan :-) and boy, can it be a difficult task. Anyhow, I would love to win this CD - so please pick me, pick me!! :-) Have a great day, and hug Harper today from me! Looks like you had a great dinner with your girls! It makes me want some OG tonight! Haha! I love the song New Beginnings!! what a great song!! By the way, love OG too. Glad you had a good time.. Have a great weekend!!! I listened to a few of the songs and I love her voice! I had heard "You Make Me Happy" before but didn't realize she was the artist. Thanks for sharing the link. I'll be heading to Target on the 9th if I don't win! Count me in on this chance to get CD :) Be blessed and have a great day! Wow! Kelly how do you pick just one favorite! OKAY so if I have to choose I would say Fight! With everything going on in my life I want to curl up in bed and stay there but I can't I have to stand up and fight just like the song says. Thanks for the fun giveaway. There's nothing better than a new CD while you're driving!! Pick me!! I LOVE her!!! I'd love to win the CD. Refine Me is great (as well as all her others). Thanks for offering this fun giveaway! I love Ayiesha Woods! I saw/heard her for the first time last September when I took a group of girls from church to the revolve tour in Columbus, OH and I just saw her again at Women of Faith. Count me in on the drawing please! I would love to win. Can you throw that precious shirt in with the CD? =) Ha, Ha! Where did you get it? I LOVE it!!!!! BTW, I bought the old navy dress in black and it is so fabulous and flattering. I think we need a Kelly's pregnant wardrobe update so I can steal some more of your cute (and most importantly--affordable) fashions. Happy Friday!! I love Ayiesha's song "Happy" and I'm sure her new C.D. has some great songs, too! Me too! I wanna win. I have loved Jennifer Knapp forever and I'm gonna have to listen to the remake of her song!! I'm on board! I would love the cd! Where have I been!!!! Have I been stuck back in a cave?? I have not heard of Ayiesha Woods!! I have spent all morning listening to her!!! She is awesome!!!! I couldn't pick a favorite song!! I loved the beat of "Fight" loved the intro to "Because of You" Liked the message of "New Beginnings" and loved the words and prayer built within "Refine Me" Even if the machine doesn't pick me I'm going to by this, but I'll wait until the drawing!!!! I have been reading your blog for a long time but have never left a comment. You are inspiring and seem so sweet. Every time we visit NWA(hubs is from Springdale and I went to JBU)I think of you as we pass Doe's and Mimi's. I would love to win this CD!! Didn't Ayiesha sing with Toby Mac for a while? LOVE Olive Garden and love Christian music! Thanks for the giveaway! I would love to win! Bloggy Giveaways are the greatest!! I love Ayiesha Woods and the song, "Refine Me". I'd love to win the CD! What fun, a great give away!! Let me just say I LOVE learning about a new Christian artist that I have not heard of yet. So, of course I would love to be the random # picked for the CD. Even if that does not happen I will certainly down load her music, thanks for the introduction to a new artist. I want it, I want it! LOVE her voice...so good! LOOOVVVEEE YOUR BLOG! I'm a faithful reader! It's hard to pick a favorite from her CD! I like different ones for different things in my life. "Happy" Refine Me", and "FIGHT!" Maybe "Fight" is my favorite? Pick me! Pick me! I would love some new music! I would love to be entered into the giveaway! I would also love to be at Olive Garden right now! I adore your blog but I've never actually left you a comment before. I'm so happy for you and Scott. Harper will be so blessed! I love your blog and am a faithful reader. I like her songs Happy and The Remedy. I would love to have her new CD. What a great giveaway idea. Who does not love music? Thanks for added me to the list of people who would love to win. What a great CD - from a quick listen, my favorite was New Beginnings - but I liked them all. I would love to win this CD. I have not heard any of her songs but will try to very soon. Keep the blogs coming, I love reading about your life and can't wait til lil' Harper Brown is here! I am still praying for a baby of our own. I know HE will be good to us too! Hope to hear from you soon saying I won!! Have a great weekend! Oh, I LOVE OG!!! Count me in, the cd sounds good. I had never heard of Ayiesha before, but enjoy listening to contemporary Christian music. I have never commented before now. 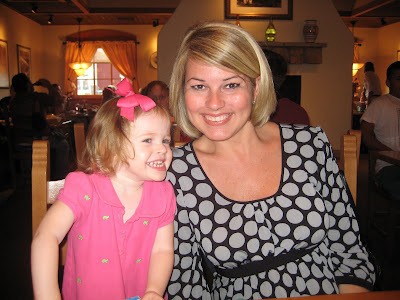 I found your blog from Angie's and have enjoyed following the exciting news in your life and you have such an adorable family. I am very happy for you and Scott and was excited when you found out it was a girl. Harper will be a very blessed baby girl. Go Gamecocks!...and TN Vols - had to throw that in there for my husband who is a TN grad. 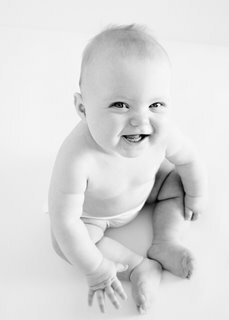 PS - Can't wait to see your nursery pics. I am another one of those readers who you don't know, but I really love to read your blog. Congratulations on your baby girl! I have a 17 month old girl and our son is due in November. Email me at denise dot reese at yahoo dot com if you'd like to check out my blog since it's private. I would LOVE to win this CD by the way! All your clothes are beautiful and your Mom really seems so sweet! Congrats on your little Harper- very pretty name! I would love to win that CD! I have an 8 year old little girl who would also love it! You girls always look like you have so much fun together. Nothing like wonderful friendships. :-) Yes..I would love to win this cd. It looks great! I would love to add that CD to my IPOD. Count me in, please! This CD is great! I Love it! I would love the chance to win this CD. I'm with you on the song "Refine Me". I've been a lurker for a while and I meant to email you and tell you that I loved your Spinach Dip recipe. I made it for a baby shower and everyone loved it. Thanks for that. Please pick me my IPOD would love this CD too. I teach sign language through music for a ministry team of teenagers at my church and I could definitely use that song. I'm always looking for some great Christian music that teenagers and adults can fall in love with and truly worship. I would love to win. I only listen to Christian music! Kelly, I'm very excited about your give away! I'm not familiar with Ayiesha Woods, but I REALLY hope to win this CD! What a fun giveaway! Sign me up! Pick me Pick me! I'd love to hear her! Thank you so much for sharing this. What a beautiful CD. Or album as we called it in my younger days. Thank you for doing the giveaway.